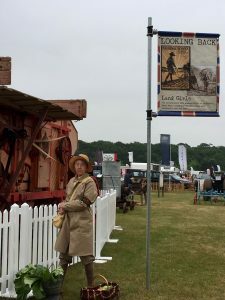 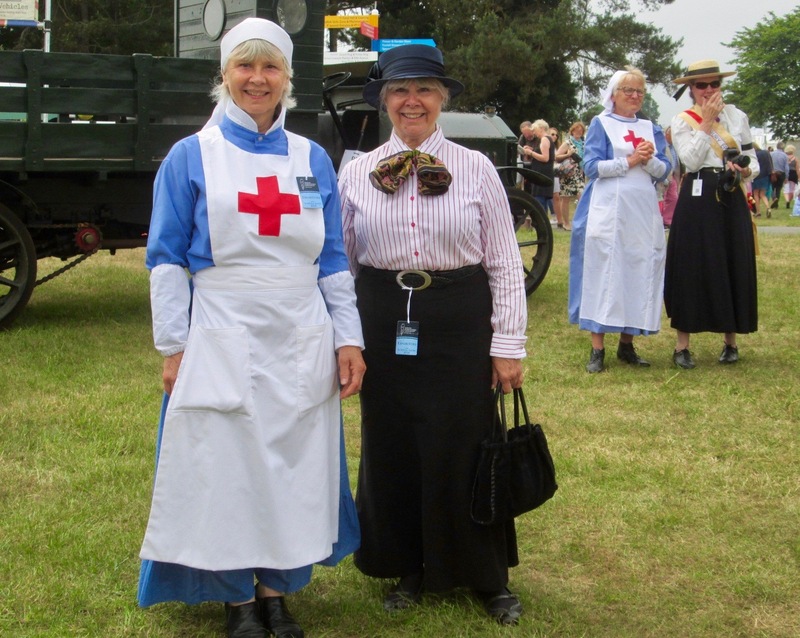 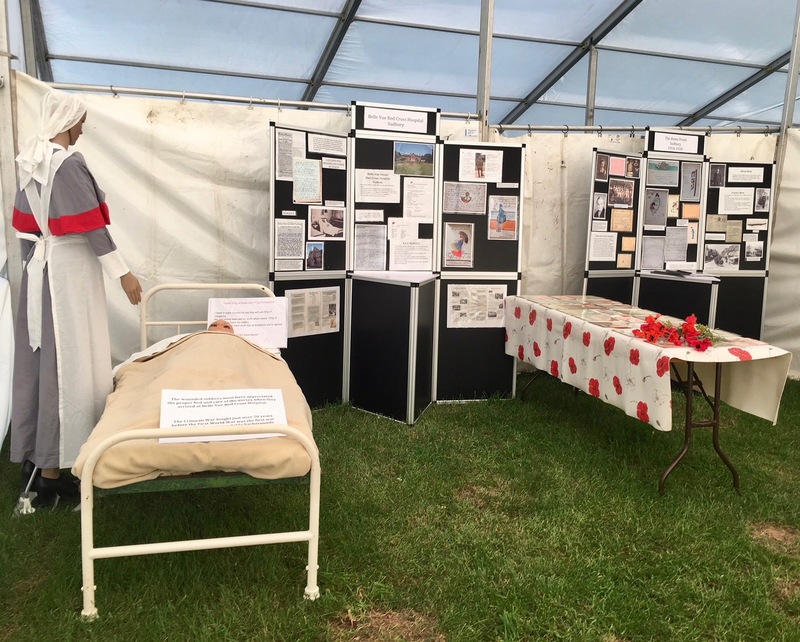 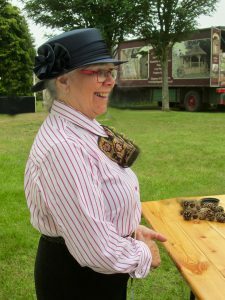 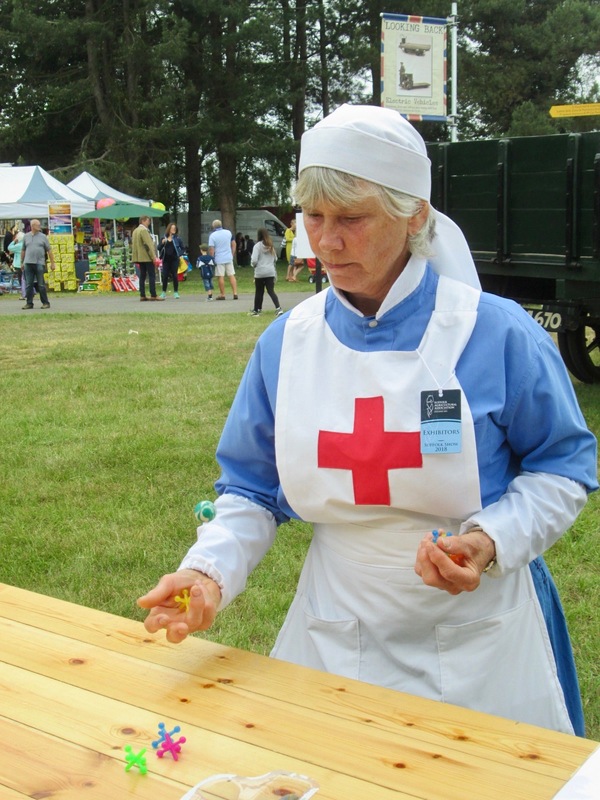 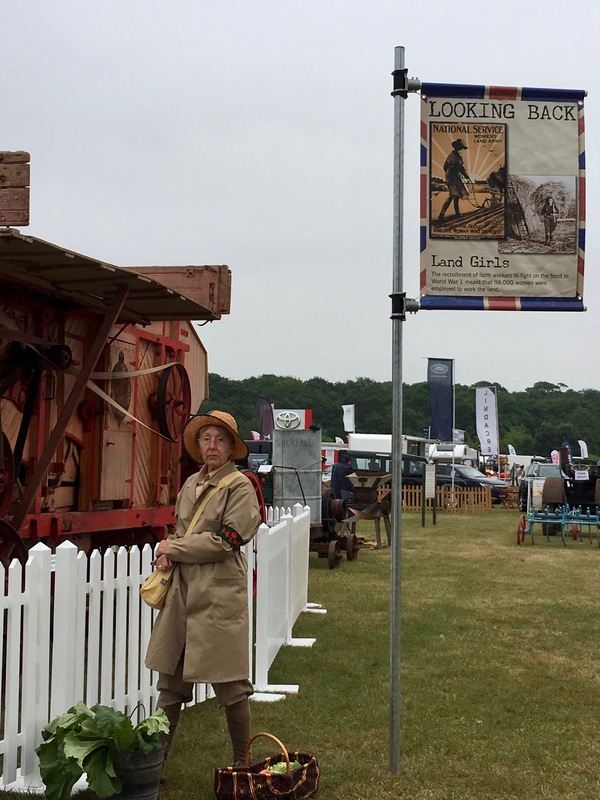 We were delighted to have been invited to take part in the Suffolk Show 2018 when the area “Looking Back” was designated to commemorate the centenary of the end of fighting in World War 1. 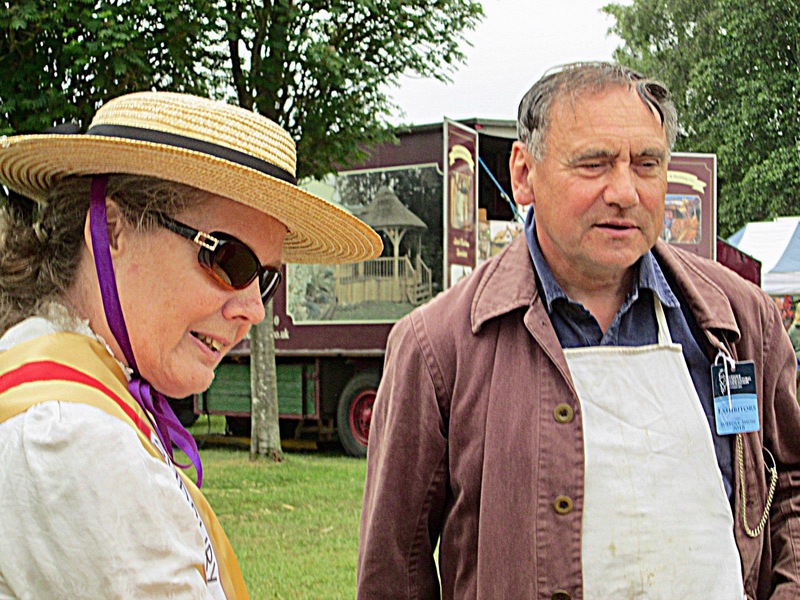 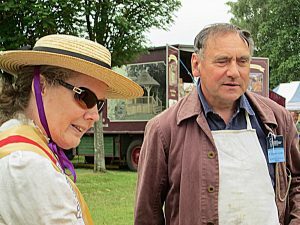 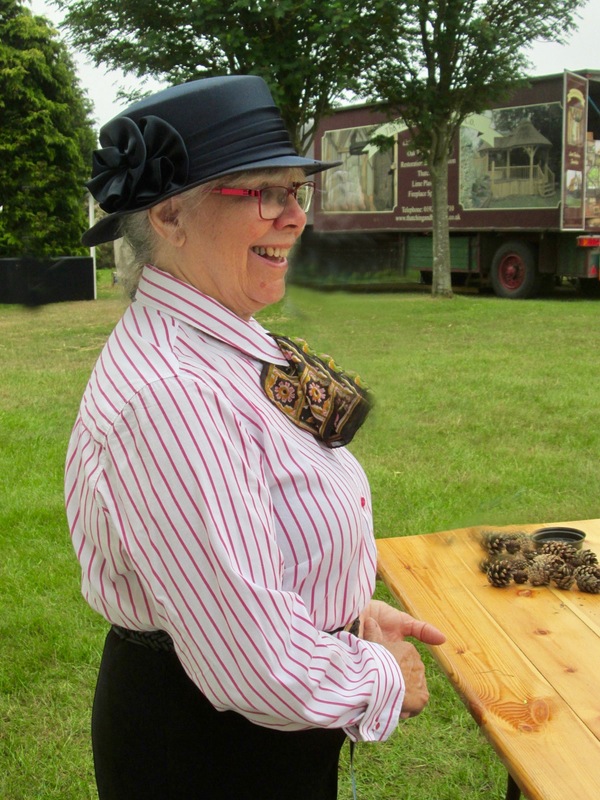 The remit for the stand was to display archives about Sudbury’s Home Front 100 years ago. 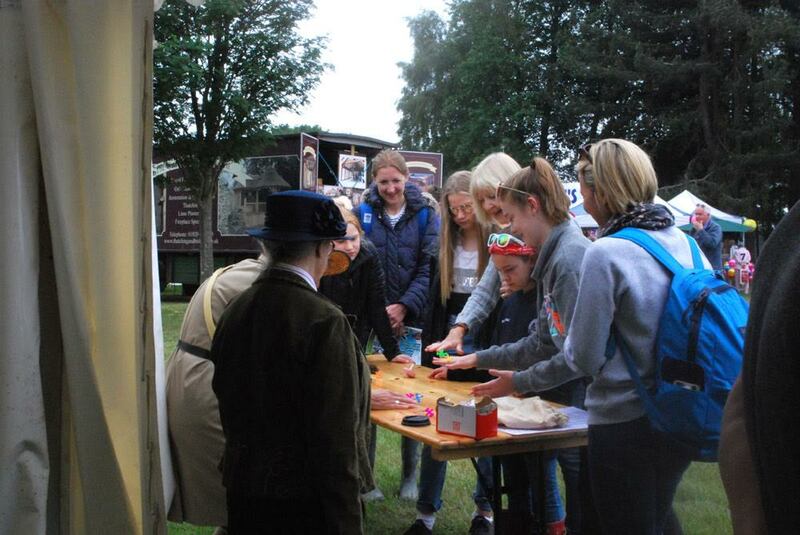 The stand had to include interactive projects which would inspire the younger generation to understand life at this time. 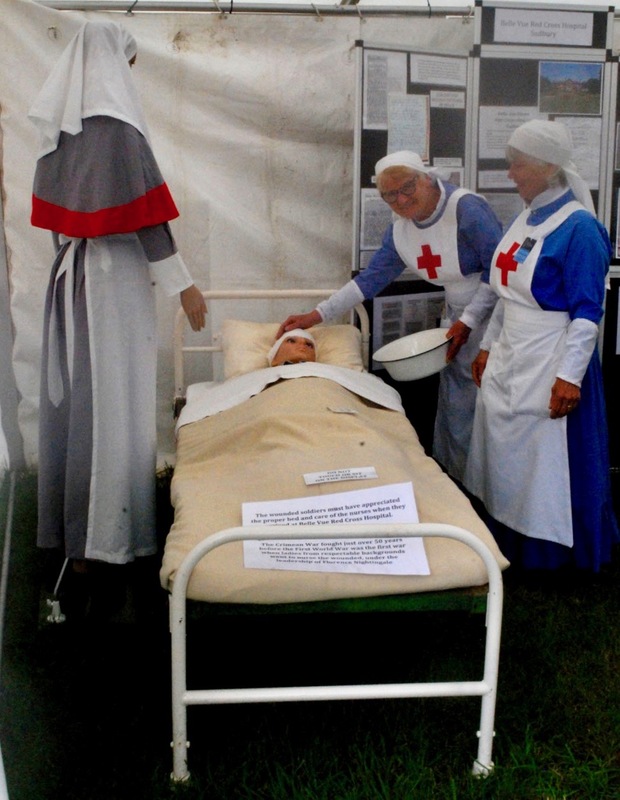 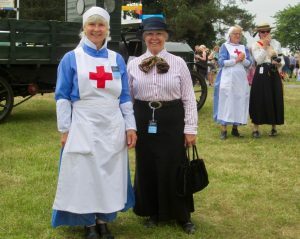 So we had displays from the Belle Vue Red Cross Hospital; autograph books and photographs of the nurses. 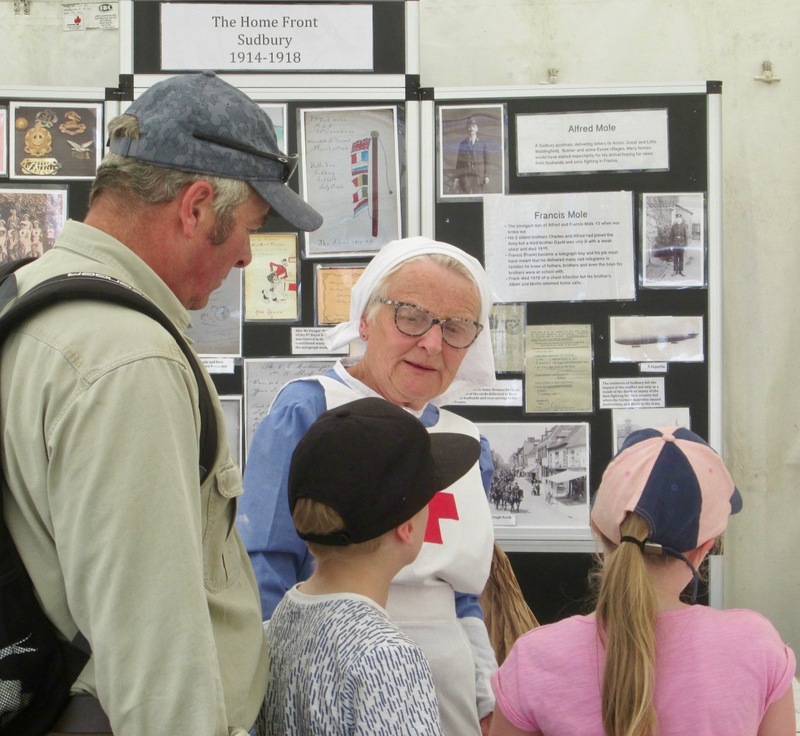 A final panel included stories of people who played a part in daily life in Sudbury in 1918. Young people were invited to play games that children still at school and under 13 would have enjoyed, in a time when there were no computers or electricity to even support such items. 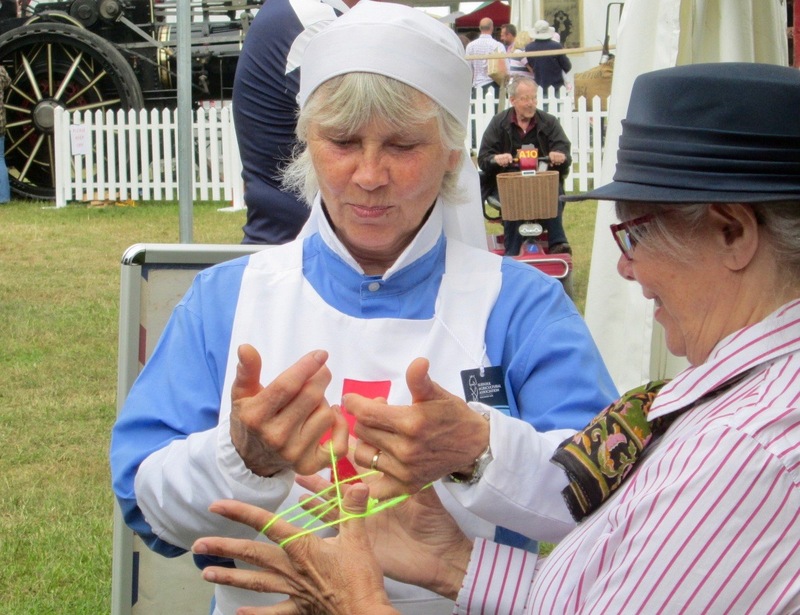 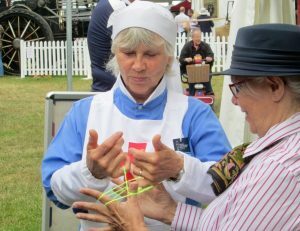 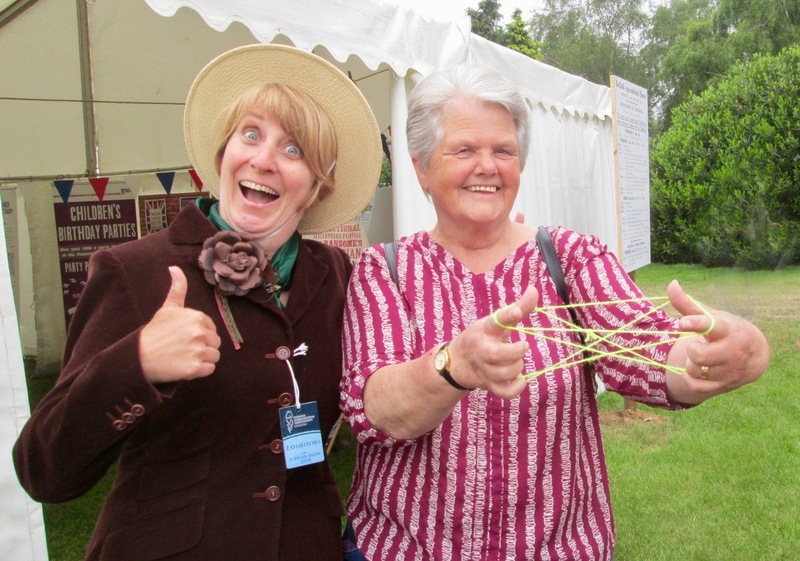 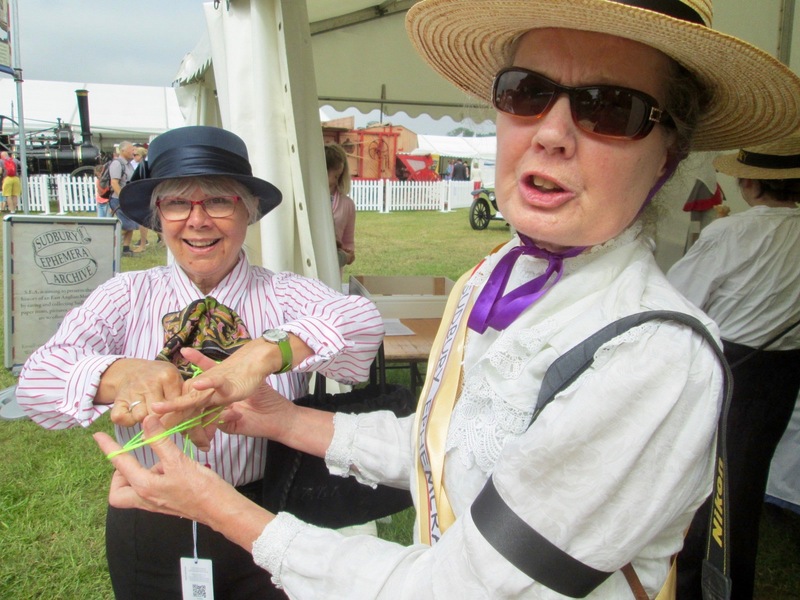 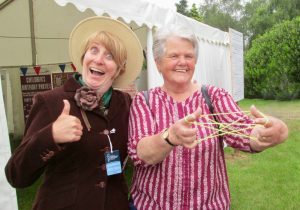 The fun of playing cats cradle gradually spread like an epidemic when women all around the stand were having a go.